Healthcare is undoubtedly an important issue that can always benefit from more productive discourse. Though in addition to discussing existing healthcare problems, it is even more important to address them directly and create useful, life-changing solutions that can improve communities. One of BPF’s goals is to understand and explore current unsolved issues in the world in order to provide suitable blockchain solutions on a global scale. 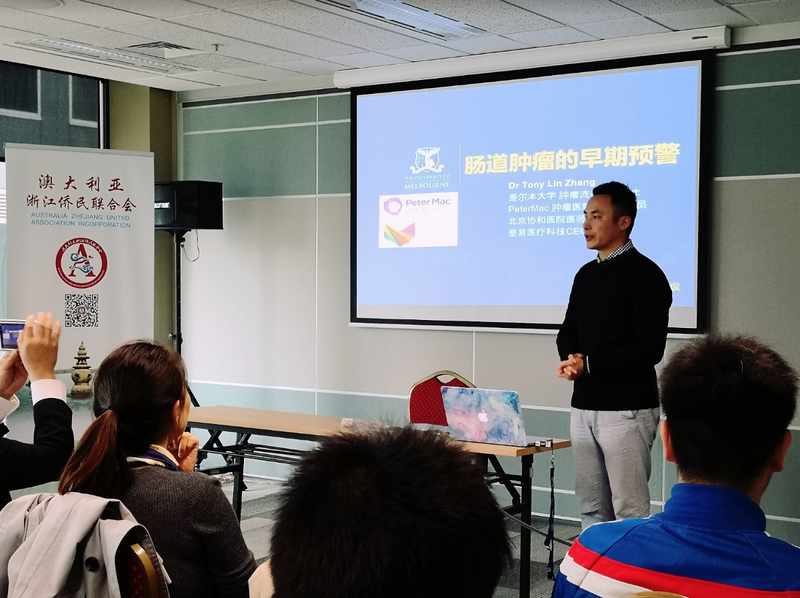 BPF’s President, Chris Zhong and Director of Healthcare, Dr. Tony Zhang were excited to have the opportunity to join in on a round table discussion hosted by the Australian Zhejiang United Association. 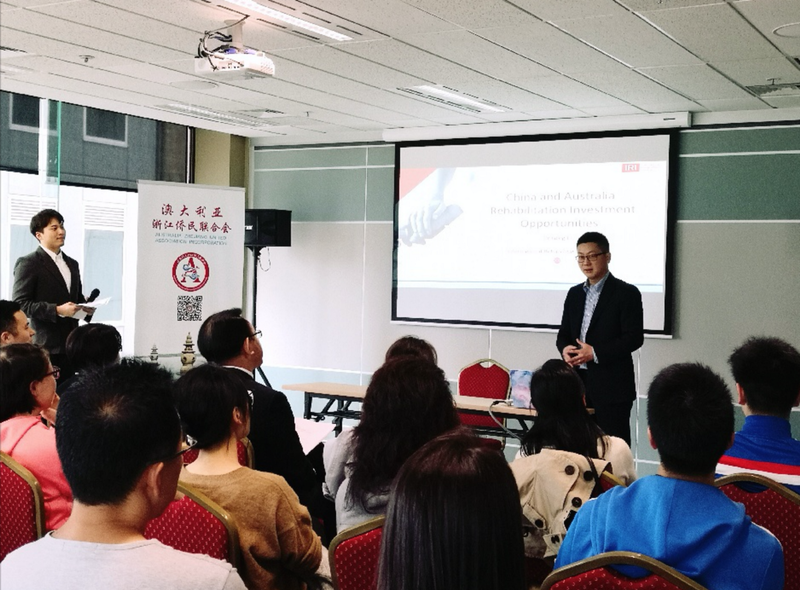 This event was held last Saturday to bring together top voices in healthcare and discuss the current challenges and opportunities across China and Australia. Each speaker was invited to present their unique perspectives, from sharing their research learnings to proposing healthcare solutions that are currently needed. Overall, it was agreed that the healthcare industry can benefit substantially from increasing trust between medical organisations and patients, something that can definitely be explored through blockchain technology. 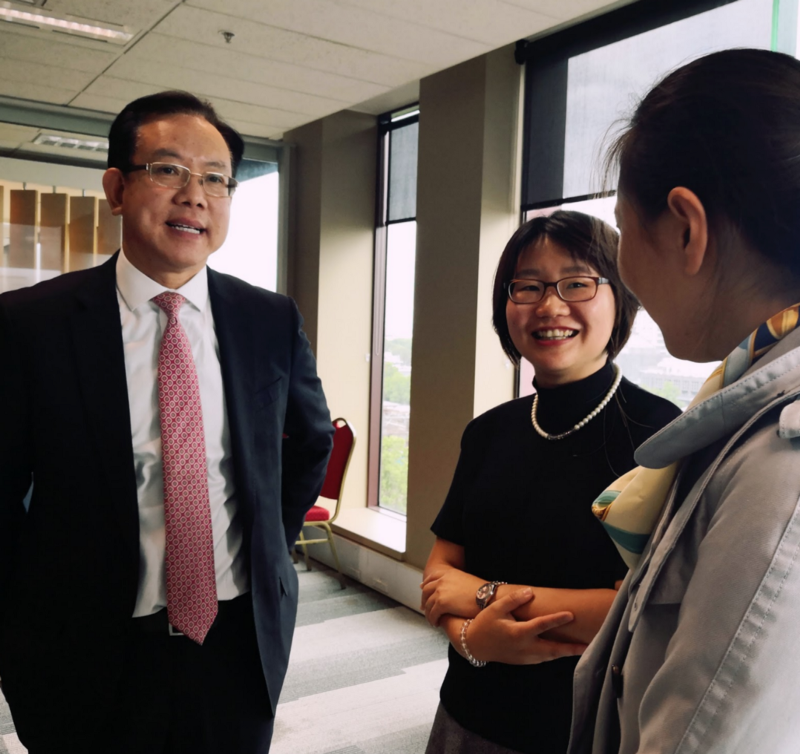 We first heard from Dr. Greg Li, president and CEO of International Rehabilitation Institute who spoke about the gap in the Chinese market between demand and available services, particularly in the rehabilitation sector. As a result, many hospital beds are occupied by patients who need rehabilitation but don’t have easy access to these services. 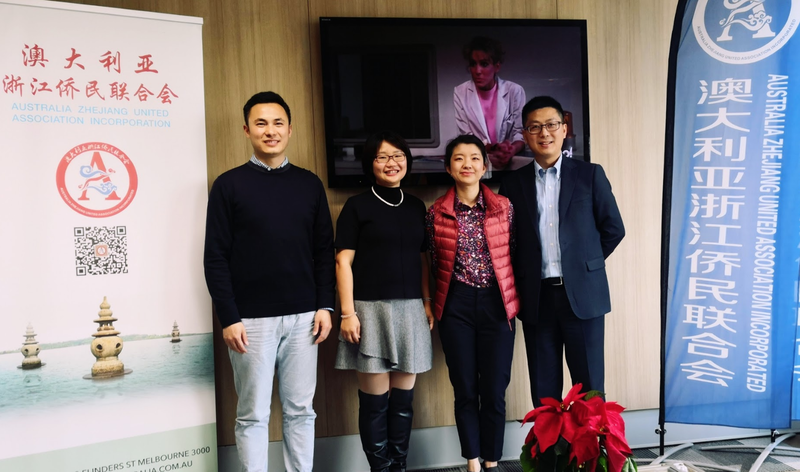 Psychotherapy is another underdeveloped area in the Chinese medical industry, especially because of the stigma attached to seeking psychotherapy treatments. Many have a fear of being judged by others, so it is even more important to establish trust with patients about psychotherapy efficacy and the security of their personal data. As a dedicated researcher of colorectal cancer, Dr. Tony Zhang shared learnings from his extensive studies and stressed the importance of the early diagnosis of cancer. Even though the rate of cancer has been increasing, it is also important to note that 90% of cancer can be treated if it is discovered early enough. The key to accelerating cancer detection is in developing technology that can securely store wide ranging data such as lifestyle, blood and genetic data. This will increase the accuracy of early cancer detection and help us better inform the public on the contributing factors to cancer. The goal is to take our approach “from intervention to prevention”. Michelle Xu is the Technical Consultant, Scientist and Project Leader at the Commonwealth Scientific and Industrial Research Organisation (CSIRO), an independent Australian federal government agency responsible for scientific research. 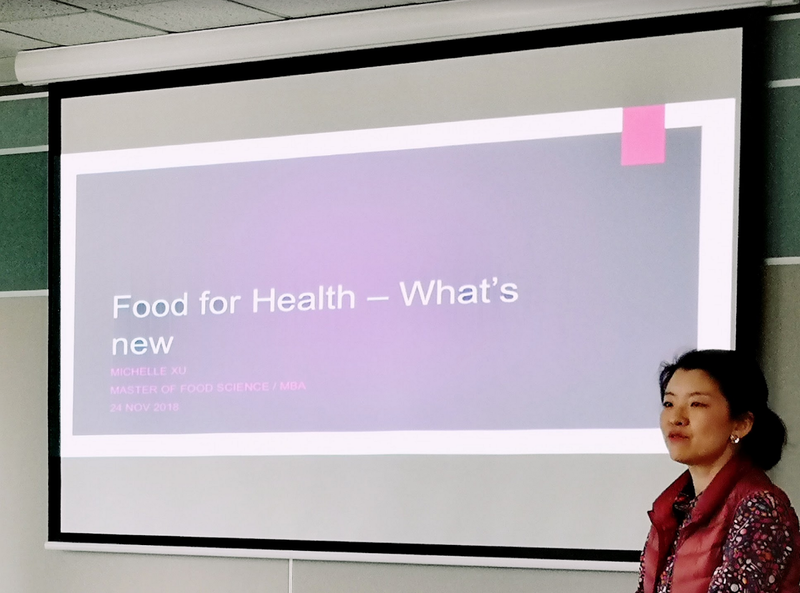 She shared recent inventions in the food industry that can help promote optimal health, including Preshafruit juices, 3D printed food and BARLEYmax. Because food provides sustenance for our body, it actually plays a much bigger role in human health than medical treatments. She added that in the era of data today, consumers demand transparency in the sourcing and supply of foods. Technology can play an important role in creating better health and wellbeing. 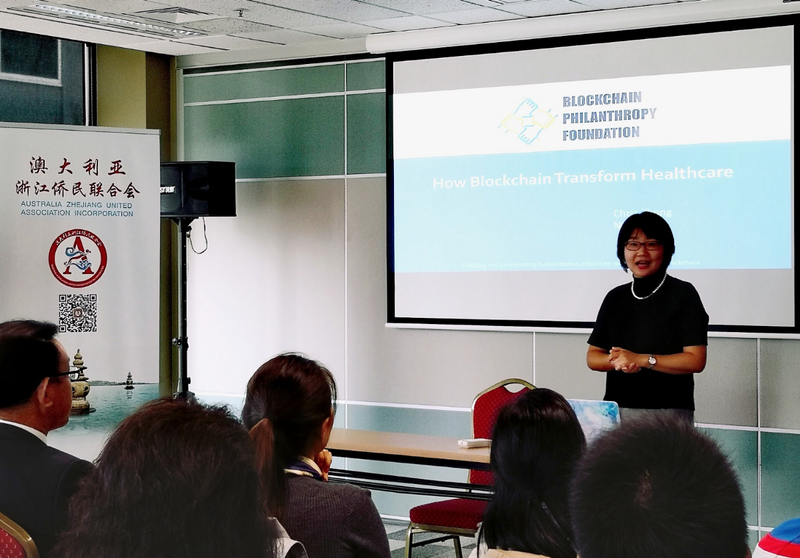 Chris shared the basics of blockchain technology and how the healthcare sector can be modernised through Blockchain. 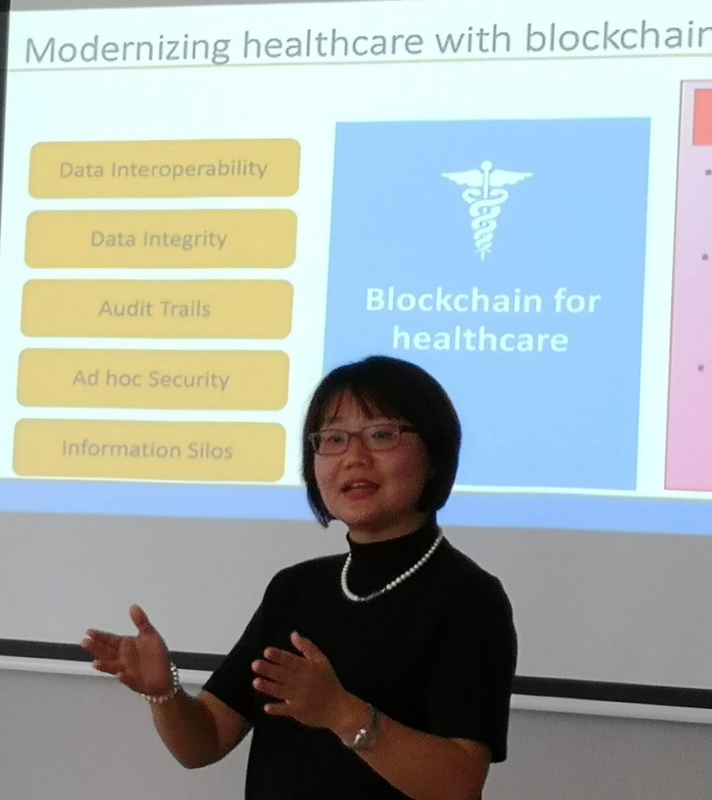 She emphasised that the transparency and immutability of Blockchain can greatly improve trust in healthcare. Firstly, the decentralisation of Blockchain will enable individuals, instead of hospitals, to take ownership of their medical records and health data. Patients will be able to decide when and where to share specific data for different purposes. This includes receiving treatment in different hospitals, monitoring health conditions through third parties, or donating personal information for medical research. Another important application of blockchain technology is improving the traceability and transparency of medical supply chains. Chris mentioned Vaccine Delivery as an example of how this is already being utilised today. Run by the Bill and Melinda Gates Foundation, Vaccine Delivery uses blockchain technology to monitor vaccine supply chains to ensure that only effective and high quality vaccines are provided from producers to health workers. While the medical industry is generally well researched, it is essential to also drive discussions through the lens of patient wellness, whether that is through disease prevention or creating a sense of trust in healthcare relationships. BPF is grateful to be included in such productive and crucial discussion with healthcare thought leaders. We are always looking for partners in the social impact and healthcare space. If you’re interested in collaborating with us, please get in touch with us here. Written by Zoe Li, Partner Development Associate for BPF.